Thank you Catherine for bringing the bubbly and Heather for creating such a fun sign! Again, most of you know how to use Mr. Linky but just in case you don't, you type in your name in the first box (that you'd like us to call you) and then the url/link to your post (not your blog url) about your painting efforts in the second box. When you come back in following weeks, your name will likely automatically be entered but you need to redo or paste over the url/link with your new post's address. We look forward to more conversations being carried on in the comments! Want to tell us more about WHY you paint or about a new technique you've just discovered? We'd love to hear! Let's have some fun! 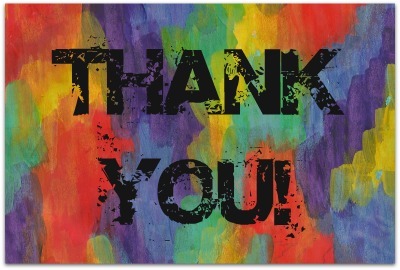 Thank you to all of our wonderful Paint Players! We couldn't be more thrilled about the turnout to the party... Thanks to all of you, our very first Paint Party Friday was a great success. We had such fun visiting your blogs, meeting new friends, and seeing familiar faces. We were amazed by the diversity of all the paintings and completely inspired by your wonderful work and enthusiastic response to the challenge. 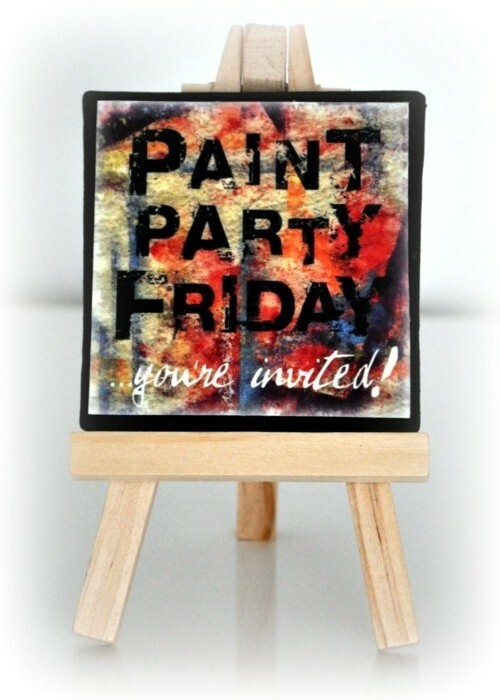 We love the supportive atmosphere that has been created by all of you, and we hope that Paint Party Friday continues to be a place where we can all come for encouragement and motivation! P.S. 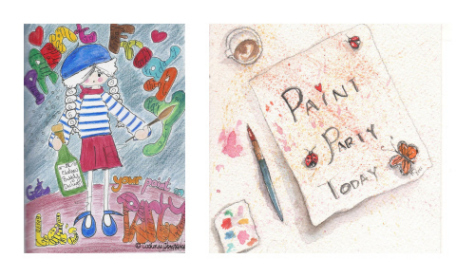 You don't need to have a finished painting to play along... We'd love to see your works in progress! Kristin and EVA are so happy to have you come and party with us! We hope this will be a great place for us all to work on our paintings, have a place to check-in, have some fun and chat about our efforts. Most of you may know how to use Mr. Linky but in case you don't, you type in your name in the first box (that you'd like us to call you) and then the url/link to your post (not your blog url) about your painting efforts in the second box. When you come back next week your name will likely automatically be entered but you need to redo or paste over the url/link with your new post's address. We hope you will not only comment but carry on conversations in the comments. If you want to address a comment to someone specific, usually the best way is to start the comment with @thenameoftheperson and then carry on with what you want to say. 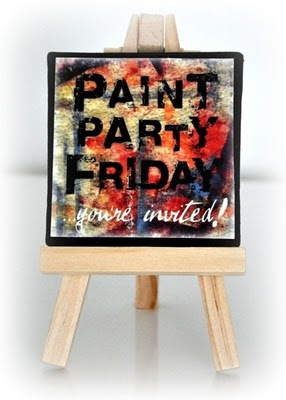 Here is something we'd like to know: How would you like PPF (Paint Party Friday) to help you? There are few rules. Just please be polite. Spam-like comments will be deleted. Let's see how it goes and have some fun!